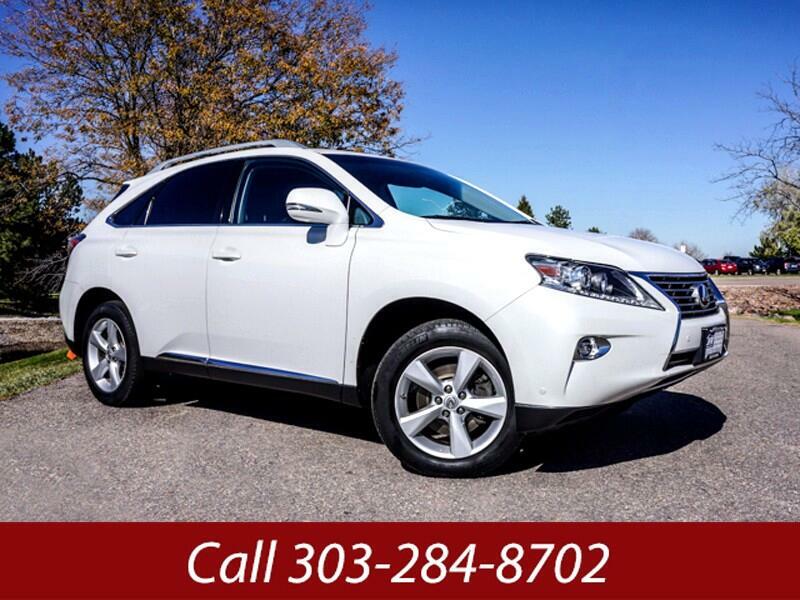 Used 2015 Lexus RX 350 AWD for Sale in Littleton CO 80120 JFR & Associates, Inc.
Lexus Is America's Number One Luxury SUV... And For Good Reason. The RX 350 transcends the common myths about how a luxury SUV should look and act. It's leather seats are soft, nicely contoured, and comfortable. The cabin has a distinct feel and touch to almost everything... it exudes precision, luxury, and elegance. The saddle tan interior is inviting and adds to the overall ambiance of the cabin. This RX 350 comes with your favorite options... navigation, sunroof, genuine wood trim, Bluetooth, Satellite Radio and so much more... that adds to your comfort and enjoyment. Once you take this RX 350 for a spin, you'll understand why there's just no comparison to other SUVs. Lexus is in a class by itself. It's time you pamper yourself with some affordable luxury.